Nippers is Surf Life Saving for kids aged from 5 to 13 years old. 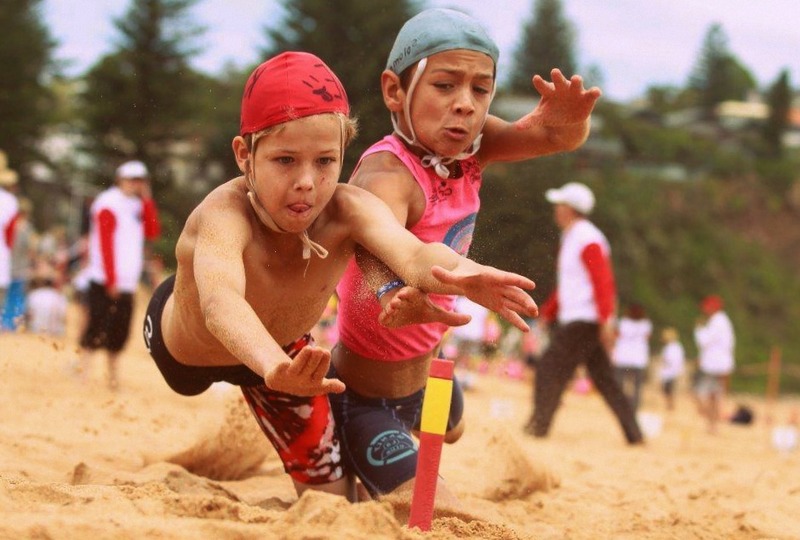 Each Australian Surf Life Saving Club offers a Nippers program, with a variety of styles and group sizes. These programs provide the necessary skills and education to enable the youth of today to progress in lifesaving and surf sports as they grow older. There are currently more than 62,000 Nippers across Australia. Nipper-style programs have existed since the 1920s, but the early programs operated differently under each club. Some accepted only boys, while others ran separate programs for boys and girls. It was at Nambucca Heads on October 16, 1961, when the first official Nippers group was established by Noel Crocker, then president of the Nambucca Heads Surf Life Saving Club. "We'd had a few problems with rips the previous summer," explains Crocker. "A few young ones had been swept out around Christmas 1960, and there was discussion in Rotary about what could be done. So we got together – the doctor, the barrister and other town leading lights, everybody was in the club in those days – and organised a public meeting that heard our idea of forming a branch of the surf life saving club for local youngsters." "It was Cyril Bannister, a delightful chap, who came up with the name. Nambucca Nippers. It rhymed, ran off the tongue like a little poem. "The real coup was to give the kids' accreditation. Nobody likes being called Nipper, big brothers have called their little brothers that since time immemorial, but we decided to make them a part of the club from the start … the aim was to save their lives and recruit them so they became involved and stayed with the club as they got older. The name certainly stuck. First Nambucca, then the world." As the 1960s progressed, a consistent national Nippers program began to evolve. North Cronulla Nippers Club was established in 1963, followed by the Coogee Minnows in 1964, and Collaroy Nippers in 1965. This expansion of the Nippers program fortuitously arrived at a time when falling membership had resulted in many surf live saving clubs facing closure. 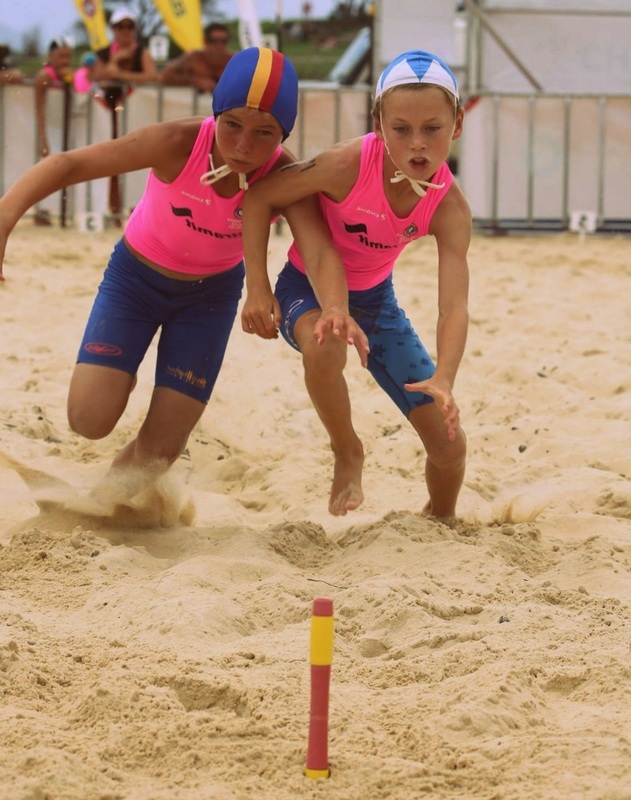 The new national Nippers program reinvigorated the surf life saving movement, and helped to foster strong community bonds, because the parents of many Nippers were also encouraged to join and become active members. 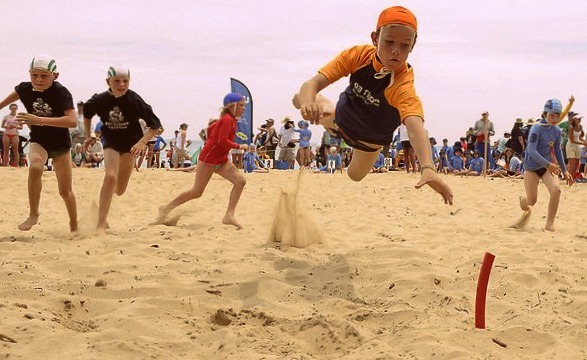 Coogee presently boasts Australia's largest Nipper group, with over 1000 children participating on Coogee beach every Sunday morning during the summer. Unlike senior Surf Life Savers, most Nippers don't patrol the beaches. The focus for Nippers is on play, group participation, fun, and surf awareness. Children aged from 5 to 7 years participate on an educational basis only, while children aged 8 and above may also enter competitions representing their local club at regional and state surf carnivals. Nippers can participate in a wide variety of individual and team events, including beach sprints, beach flags, swimming, board races, and relays. Unlike seniors, Nippers don’t compete in surf ski or surf boat races, due to the added risk involved with those surf craft. Competition is a key element, but safety, surf awareness, and education are the primary goals. For Nippers, the beach is the classroom. They learn how to respect the ocean, read the surf conditions, dolphin-dive under and over waves, and escape from rips. They learn about dangers such as rocks, marine life (such as blue-ringed octopus and jellyfish), and also about surf conditions like rip currents, sandbars, and waves. Older Nippers are taught basic first aid, and learn how to administer CPR when they reach the age of 13. When Nippers reach 13 years of age, they can also complete their SRC (Surf Rescue Certificate) enabling them to patrol Australia's beaches and partake in Senior Competition. Any boy or girl can join Nippers – they don’t need to be athletic, competitive or confident in the water. These skills are developed as the child progresses through the various Nippers age groups. Kids who are initially scared of the water usually lose their fear and gain confidence quickly throughout the season. Activities are well supervised by qualified Age Managers, and children are never expected to participate in activities that might cause them danger. The Age Managers are often parents too. Children are divided into Age Groups - Under 6, U7, U8, U9, U10, U11, U12, U13 and U14, with the child’s age taken as at 30th September that year. So if a child turns 9 on or before 30th September, they would participate in the Under 9 group for the entire season. Parents are encouraged to participate in activities, and many parents are also members of the Life Saving Club. Parents can assist with the provision of water safety, man the barbecues for the post-Nippers sausage sizzle, or perform as Age Managers and committee members. Parents may also obtain their Bronze Medallion, enabling them to patrol the beach as volunteer Surf Life Savers. Activities normally commence on Saturday or Sunday mornings, rain, hail, or shine (but would be cancelled in severe weather). If surf conditions are dangerous then activities are limited to the sand. Nippers wear a uniform comprised of a swimsuit, high-visibility rash vest (rashie) and a Nipper cap. Beach race. Run a set distance across the sand (distance depends on age). Beach relay. Teams of four run in a relay. Beach flags. Nippers lie flat on the sand, then jump up and run a short distance to grab a piece of hose stuck in the sand. Surf wade. Nippers run through shallow water, supervised by Age Managers. Tug-of-War. Often Boys vs Girls or Nippers vs Parents (Nippers always win!). Obstacle Course. Nippers run around a fun obstacle course on the sand. Buckets. Nippers run to the water’s edge, collect water with a small bucket, then run back to try and fill a larger bucket before the other teams. Balls: Lots of colourful floating balls are thrown in the water’s edge, and the Nippers must collect them to fill a bucket. For U9+ age groups, and only permitted if children have passed specific proficiency tests. Surf swim. Swim from the beach, around a U-shaped course and back to shore. Bodyboarding: Younger Nippers catch waves into shore on a bodyboard. Board races. Paddle a Nipper Board around a U-shaped course and back to shore. Run-swim-run. Two beach races, separated by a surf swim leg. Ironman/Ironwoman. A race that combines beach running, surf swimming and board paddling. Board relay. Teams paddle their Nipper boards in turn around the course. Board rescue. A competitor swims out to a buoy and their teammate paddles a board to them, picks them up and returns to the beach. Before children can engage in water activities where they might be out of their depth, they’re required to pass a proficiency test. This is a supervised swim in still water. The distance and time limit varies by age group. Children who don’t pass the proficiency tests are limited to dry activities or beach events, and can’t participate in carnivals for that season. Where did the name ‘Nippers’ come from? The Australian language has acquired many nautical expressions, and ‘Nipper’ is an old sailing term for a young person. 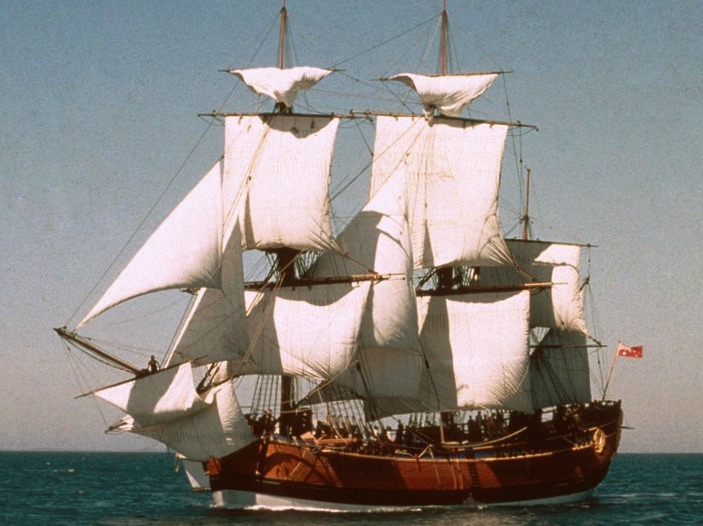 In the days of ocean sailing ships, the capstan (a rotating machine used to apply force to ropes) had a cable running to another point towards the stern and back again. When the capstan was turned, this cable circled around and the incoming anchor cable was tied (or ‘nipped’) to this loop. While adult sailors turned the capstan, the ship's boys nipped the cables together with a piece of line at the incoming end, and untied the lines at the other end. These boys were known as the Nippers. Did you find this article interesting? Is there something we should add or change? Please leave your comments below.